The works in the Giles Lane car park are progressing well. The pink zone is in the process of being levelled and drainage and data cable routes are being dug. 100% of the waste produced by the works is being sent outside of the University to be recycled. The first overflow car park is situated around the edge of the sports pitch next to the Sports Pavilion. It is for the use of staff and student permit holders, as well as University Visitors issued with an e permit. The second overflow car park is situated around the edge of the Sports Field at the top of Park Wood Road next to the Oaks car park. This is for the use of permit holders. It will also be used by the Contractors working in the Park Wood Courts areas. Both overflow car parks are signposted on Park Wood Road. Please ensure all your visitors issued with an e-permit are aware that parking is busy on campus at the moment and notify them of all the parking areas. Details on visitor parking are on our web pages. If you are planning an event on campus over the summer which will require parking for visitors please contact the Transport team as soon as possible to discuss your requirements. The use of the overflow car parks is weather dependent. We will keep you updated via Transport News on our website and our twitter page (@unikent_travel) if there are any changes to this. 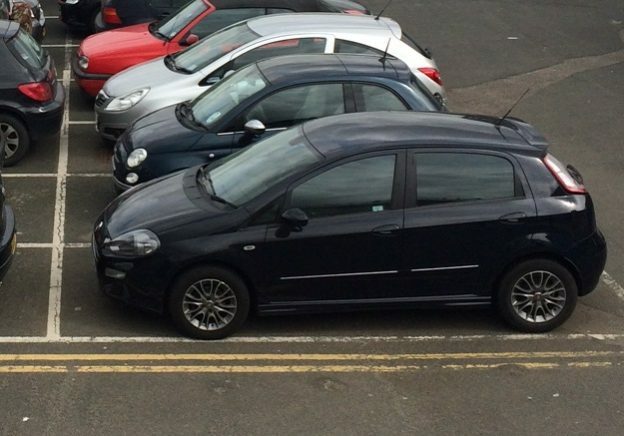 If there are no car parking spaces available in the overflow car park, please try the Park Wood courts. Our interactive parking map shows all the car parks on campus, with information on the number of bays in each area. If you are struggling to find a parking space, please call Campus Security (01227 823300) who may be able to look on the CCTV and advise you where parking is available. There will be a large number of families staying in the Park Wood Courts accommodation over this period. Please take extra care and drive slowly in Park Wood as there will be children running around and playing in this area, including on the roadways. Please note that the speed limit on Park Wood Road itself is a maximum of 20 miles per hour. During this period the Oaks car park will be reopened to staff, student and visitor permit holders. We will continue to assess whether this area is needed for coach and minibus parking and will advise accordingly. 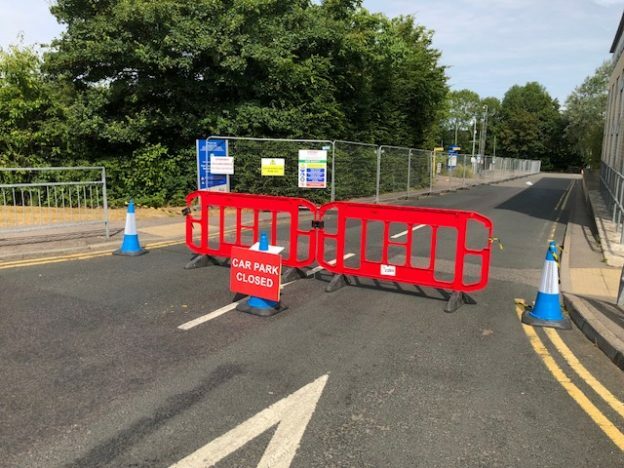 This entry was posted in Giles Lane changes, News and tagged Canterbury, Canterbury campus, car park, car park disruption, car park disruptions, disruption, Giles Lane, Giles lane car park, parking disruption, transport on July 24, 2018 by cef20. Monday 9 July – September – Giles Lane car park is closed over the summer for essential maintenance and improvement works to take place. This closure has been requested by the Estates Department. For more information see our Giles Lane car park changes webpage. Monday 22 July- Sunday 9 August– Purchase Court 1-16 car park will be closed for the Canterbury retreat. This closure has been requested by the Conference Office. Wednesday 25 July- Oaks car park will reopen to permit holders whilst the Canterbury retreat is in Parkwood. After 8 August, we will continue to assess whether this area is needed for coach and minibus parking and advise accordingly. Sunday 5 August –Thursday 9 August– Rear of Rothford car park closed to dismantle the UPP compound and reopen the bays in this area. This closure has been requested by UPP. There are no known car park disruptions to Medway campus for the next two weeks. Any disruptions that we are made aware of will be updated on the transport events calendar. This entry was posted in News and tagged Canterbury, Canterbury campus, car park, car park disruption, car park disruptions, disruption, Giles Lane, Giles lane car park, Medway, parking, parking disruption, staff, transport, transport team on July 24, 2018 by cef20. Saturday 16 June- We are expecting over 120 vehicles to campus for the Medway Open Day. Open Day visitors will be directed to park in the Drill Hall car park and agreed Greenwich parking areas. This entry was posted in News and tagged car park disruptions on June 11, 2018 by Miriam Sandiford. Saturday 26 May- Sunday 3 June (approx.) – It has been agreed that Kent Highways can divert traffic via University road as part of the Radfall road closure to complete cabling works. Tuesday 5 June- 13 bays will be reserved to accommodate minibuses for the Kent School Games training day in the Pavilion car park, as requested by Kent Sport. Sunday 27 May- Monday 4 June- Eliot car park will be closed in preparation for the Summer Ball, as requested by Kent Union. The car park will be reopened Tuesday 5 June. Saturday 2 June- Sunday 3 June- Rutherford car park will be closed so it can be used as a taxi rank for the Summer Ball, as requested by Kent Union. Please ensure your car is removed from the car park by 22.00 Friday 1 June. The car park will be reopened late Sunday 3 June. This entry was posted in News and tagged car park disruptions, road disruptions on May 24, 2018 by Miriam Sandiford. We are expecting a large number of vehicles to campus for the open day on Saturday. We are not aware of any other large events with the exception of the usual Saturday park run. Reminder that the Pavilion car park will be closed for a cycling event. This is approximately 70 bays. Please ensure you remove your vehicle from the Pavilion car park by 22.00 Saturday 1 July. The car park should be reopened at 11.00 Monday 3 July. South East Water are required to close a small section of Giles Lane adjacent to Woodlands Way for approximately 5 days. A diversion will be in place along University road. Rothford car park will remain open but will not be accessible from the main campus. It will be accessible from Giles Lane via St Thomas Hill/ Whitstable road. There will be some disruption to New Kent Road while repairs are made to the road, including the junction with Central Avenue. The contractors will carry out their own traffic management to ensure traffic flows. The section of Giles Lane blue zone car park located behind Woolf College remains closed for the coach and minibus park to assist Kent Hospitality, Enrolment Management Services and Partnership Development Office with conference guests and school visits. This is approximately 40 bays. This entry was posted in News and tagged Canterbury, car park disruptions, Medway, repairs, road disruption on June 29, 2017 by Miriam Sandiford.